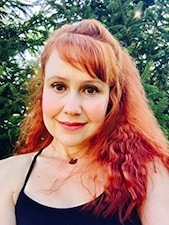 Audrey Hepburn said, “If I’m honest I have to tell you, I still read fairy tales and I love them best of all.” So I’m in good company when I say that I love fairy tales and often look to them for inspiration in my own writing. This is especially true in my new YA/NA novel,Losing Adam, which is partly inspired by The Snow Queen by Hans Christian Andersen. The first time I read The Snow Queen as a little girl, I was intrigued by the Snow Queen’s haughty beauty and her mysterious world of ice and snow. Like all good fairy tales, there was a compelling dichotomy between the Snow Queen’s cold cruelty and the warm and loving friendship between Gerta and Kai. And when Kai is spirited away by the Snow Queen on her silver sled, the fight between good and evil ensues. What stayed with me most about The Snow Queen, however, was the somewhat unusual circumstance of the girl rescuing the boy. Gerta’s bravery, her determination to help her friend no matter what the cost, was first instance of female bravery I encountered in my reading life. Encountering numerous obstacles in her journey to rescue Kai, Greta faced each one with courage and intelligence. Rereading The Snow Queen as an adult I admired Greta even more, and, inspired by her example, I began to create my own heroine. Like Greta, my character would risk everything for love, even the wrath of a queen with ice around her heart. In my novel, Losing Adam, the Snow Queen is a metaphor for mental illness, and the obstacles my characters face are different, but like Greta and Kai they too are on a journey. And in true fairy tale form, appearances are deceptive. In both stories, what begins as a straightforward search and rescue mission, eventually transforms into a search for self that culminates in an understanding of life’s uncertainty. How one moment you can hold spring and all if its infinite possibilities in the palm of your hand, and the next you’re trying to grasp a handful of snow as it melts through your fingers. Aside from thematic similarities, I hope that what Losing Adam has in common with the original tale is complexity. With each reading, the reader will come away with fresh insights into the story and is characters. And most of all, I hope Losing Adam will resonate with readers, and that it will find a place in their heart as all the best stories do. 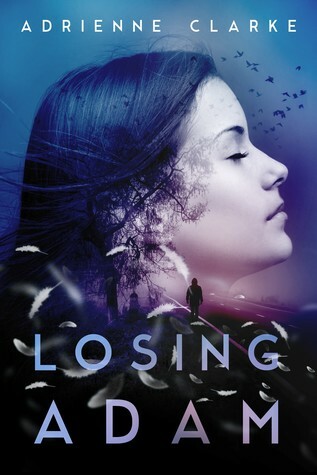 Thank you for featuring my novel, Losing Adam, on your blog! This book sounds so good. I can't wait to jump into it. I am looking forward to this read. Looks so amazing..